This issue is now SOLVED. I'm leaving everything below in case someone else has a similar issue in the future. 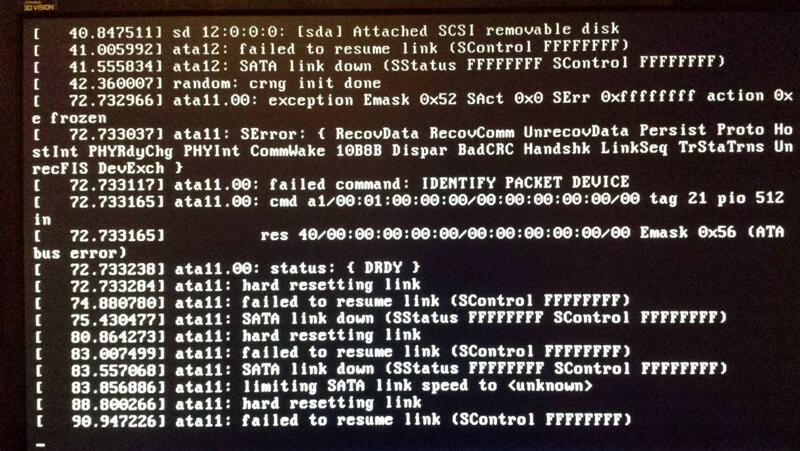 The problem was that the ASM1061 the DVD drive is attached to doesn't support ATAPI commands that were being sent. 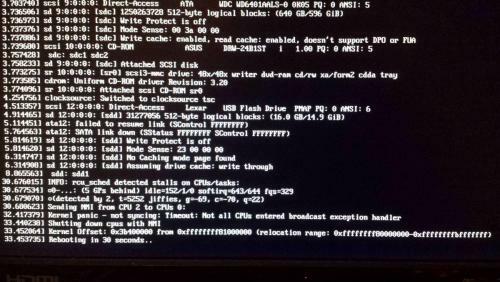 This can be solved by: Unplugging the DVD drive, adding this boot flag: libata.atapi_passthru16=0 or editing /lib/udev/rules.d/60-persistent-storage.rules by finding the word ATAPI and commenting out the next line. I've tried e-mailing their support team but I frustratingly just get an error back saying the message couldn't be delivered. Google was no help either so hopefully someone here can... Please keep in mind that I've never used any Linux distro before so I might need to be talked to as a baby. That said no other distro is an option so I must find a way to make this work. I'm trying to install Tails 3.3 on 16GB Lexar Jumpdrives, which are known working sticks. I've been following their installation guide to a T and I'm stuck on step 4.4. I've done all the applicable troubleshooting steps listed in the guide and the attached picture is the result of the debug nosplash command it said to do at the end of the troubleshooting notes. It says it'll reboot in 30 seconds but it's actually frozen. Unfortunately the errors given aren't listed in their troubleshooting guide. Any help you can give me is greatly appreciated! Edited by zxcymn, 14 December 2017 - 11:00 PM. Update: I removed the overclock from my CPU and unplugged all USB peripherals except mouse and keyboard. 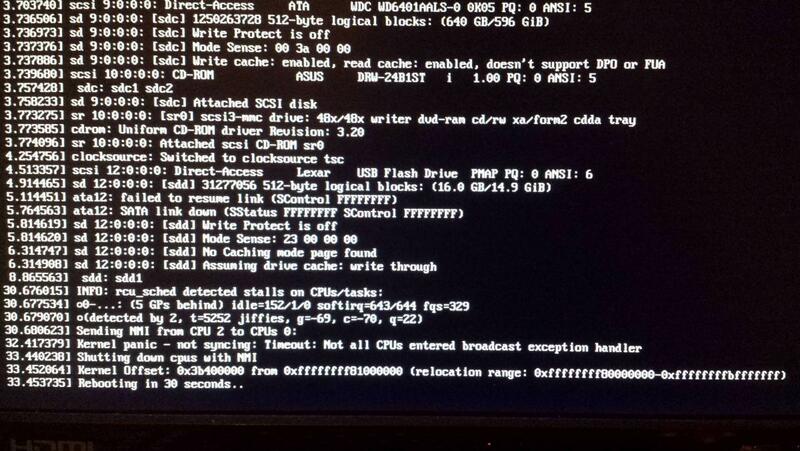 I no longer see the kernel panic, however it is now freezing on the errors in the screenshot attached.